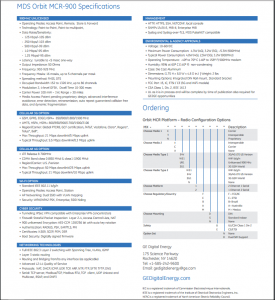 GE’s MDS Orbit MCR-900 is a high performing 900MHz unlicensed wireless router. 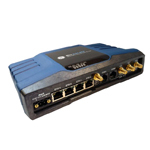 It is built on GE’s MDS extensive experience in wireless industrial communications and uses proprietary state-of-the-art Frequency Hopping Spread Spectrum (FHSS) algorithms to offer low latency networking in the 900MHz unlicensed spectrum with effective interference avoidance. The MDS Orbit MCR-900 allows for traditional point to multipoint deployments for SCADA and other industrial applications. 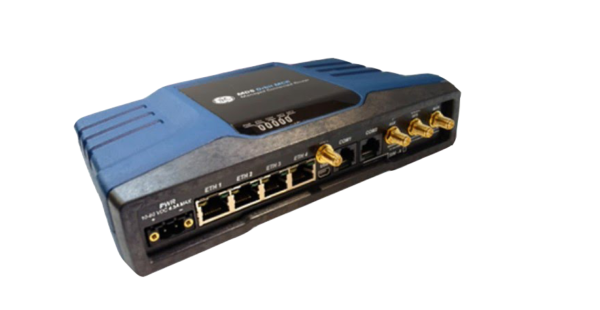 In addition, its integrated routing, switching, Quality of Service (QoS) and security as well as the support for a variety of wireless technologies and topologies position it as a true convergence and OPEX-saving platform in industrial M2M networks. The MDS Orbit MCR-900 supports additional wireless technologies including global 3G (AT&T), 4G LTE, and Wi-Fi to allow for compatibility in a variety of design scenarios.